Dr. Lionel Chow is a pediatric hematologist and oncologist with an expertise in childhood brain cancer. 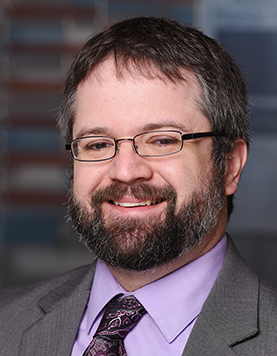 He works with a multidisciplinary team of experts to provide patients and families with the best care and treatment available for brain tumors that also meets the unique medical and psychological needs of each patient. He is a cancer researcher whose work has focused on finding better treatments for aggressive brain tumors in children and adults. He has published over 40 research papers in internationally recognized journals and presented his research at international conferences. Dr. Chow received his medical training and research doctorate at McGill University in Montreal, Canada. He completed his pediatric residency and hematology/oncology training at The Hospital for Sick Children in Toronto, Canada where he was a chief fellow. He then moved to St. Jude Children’s Research Hospital in Memphis, Tennessee where he developed an interest in brain tumor research in the lab. He also completed clinical training in pediatric neuro-oncology at St. Jude. He moved to Cincinnati Children’s Hospital Medical Center where he established his own brain tumor laboratory and was a member of the brain tumor program. 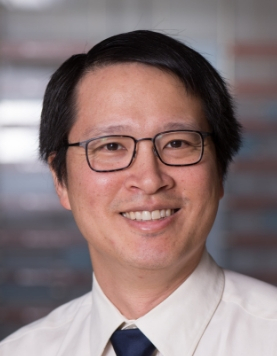 Dr. Chow joined the hematology/oncology program at Dayton Children’s hospital in 2018 and provides a team-based family-centered approach to the care of brain tumor patients. He is also continuing his research on childhood brain tumors with a goal of developing better treatment options for patients with aggressive forms of this disease. Dr. Chow serves as the chair of the Medical Advisory Committee for Joshua’s Wish, a private foundation that raises money to support families and research on diffuse intrinsic pontine glioma. He also speaks at several fundraising events in southwestern Ohio. He was awarded a Jean François St-Denis Fellowship in Cancer Research by the Canadian Institutes of Health Research (2005) and was named a St. Baldrick’s Foundation Scholar (2011) as well as a Distinguished Scientist by the Sontag Foundation (2011). Davidson, D., L.M.L. Chow, M. Fournel and A. Veillette. (1992) Differential regulation of T cell antigen responsiveness by isoforms of the src-related tyrosine protein kinase p59fyn. J. Exp. Med. 175:1483-1492. PMID: 1375262; PMCID: PMC2119231. Chow, L.M.L., M. Fournel, D. Davidson and A. Veillette. (1993) Negative regulation of T-cell receptor signalling by tyrosine protein kinase p50csk. Nature 365:156-160. PMID: 8371758. Gervais, F.G., L.M.L. Chow, J.M. Lee, P.E. Branton and A. Veillette. (1993) The SH2 domain is required for stable phosphorylation of p56lck at tyrosine 505, the negative regulatory site. Mol. Cell. Biol. 13:7112-7121. PubMed PMID: 8413300; PMCID: PMC364772. Chow, L.M.L., C. Jarvis, Q. Hu, S.H. Nye, F.G. Gervais, A. Veillette and L.A. Matis. (1994) Ntk: A Csk-related protein-tyrosine kinase expressed in brain and T lymphocytes. Proc. Natl. Acad. Sci. U.S.A. 91:4975-4979. PubMed PMID: 8197166; PMCID: PMC43912. Chow, L.M.L., D. Davidson, M. Fournel, P. Gosselin, S. Lemieux, M.S. Lyu, C.A. Kozak, L.A. Matis and A. Veillette. (1994) Two distinct protein isoforms are encoded by ntk, a csk-related tyrosine protein kinase gene. Oncogene 9:3437-3448. PMID: 7970703. Chow, L.M.L., and A. Veillette. (1995) The Src and Csk families of tyrosine protein kinases in hemopoietic cells. Semin. Immunol. 7:207-226. PMID: 8520026. Cloutier, J.-F., L.M.L. Chow and A. Veillette. (1995) Requirement of the SH3 and SH2 domains for the inhibitory function of tyrosine protein kinase p50csk in T-lymphocytes. Mol. Cell. Biol. 15:5937-5944. PMID: 7565746; PMCID: PMC230845. Latour, S., L.M.L. Chow and A. Veillette. (1996) Differential intrinsic activity of Syk and Zap-70 protein-tyrosine kinases. J. Biol. Chem. 271:22782-22790. PMID: 8798454. Davidson, D., L.M.L. Chow and A. Veillette. (1997) Chk, a Csk family tyrosine protein kinase, exhibits Csk-like activity in fibroblasts, but not in an antigen-specific T-cell line. J. Biol. Chem. 272:1355-1362. PMID: 8995444. Chow, L.M.L., Y. Tian, T. Weber, M. Corbett, J. Zuo and S.J. Baker. (2006) Inducible Cre recombinase activity in mouse cerebellar granule cell precursors and inner ear hair cells. Dev. Dyn. 235:2991-2998. PMID: 16958097. Chow, L.M.L., J. Zhang and S.J. Baker. (2008) Inducible Cre recombinase activity in mouse mature astrocytes and adult neural precursor cells. Transgenic Res. 17:919-928. PMID: 18483774; PMCID: PMC2522290. Cicero, S.A., D. Johnson, S. Reyntjens, S. Frase, S. Connell, L.M.L. Chow, S.J. Baker, B.P. Sorrentino and M.A. Dyer (2009) Cells previously identified as retinal stem cells are pigmented ciliary epithelial cells. Proc. Natl. Acad. Sci. U.S.A. 106:6685-6690. PMID: 19346468; PMCID: PMC2672506. Joshi, K., Y. Banasavadi-Siddegowda, X. Mo, S.H. Kim, P. Mao, C. Kig, D. Nardini, R.W. Sobol, L.M.L. Chow, H.I. Kornblum, R. Waclaw, M. Beullens and I. Nakano. (2013) MELK-dependent FOXM1 phosphorylation is essential for proliferation of glioma stem cells. Stem Cells 31:1051-1063. PMID: 23404835; PMCID: PMC3744761. Zhong, Y., Y.-W. Wan, K. Pang, L.M.L. Chow and Z. Liu. (2013) Digital sorting of complex tissues for cell type-specific gene expression profiles. BMC Bioinformatics 14:89. PMID: 23497278; PMCID: PMC3626856. Wojton, J., Z. Chu, H. Mathsyaraja, W.H. Meisen, N. Denton, C.-H. Kwon, L.M.L. Chow, M. Palascak, R. Franco, T. Bourdeau, S. Thornton, M.C. Ostrowski, B. Kaur and X. Qi. (2013) Systemic delivery of SapC-DOPS has antiangiogenic and antitumor effects against glioblastoma. Mol. Ther. 21:1517-1525. PMID: 23732993; PMCID: PMC3734660. Gass, D., M. DeWire, L. Chow, S.R. Rose, S. Lawson, C. Stevenson, A.L. Pai, B. Jones, M. Sutton, A. Lane, D. Pruitt, M. Fouladi and T.R. Hummel. (2015) Pediatric tectal plate gliomas: a review of clinical outcomes, endocrinopathies, and neuropsychological sequelae. J. Neurooncol. 122:169-177. PMID: 25582835. I chose pediatric hematology and oncology because cancer and blood diseases are the number one cause of non-accidental death in children in the United States. My focus is ensuring children with these diseases get the best treatment possible. I am also dedicated to finding new and better treatments and cures for childhood brain cancer. they are full of wonder, they are resilient and they are inspiring. the hospital is going through exciting changes and growth that will make this an even better place for children to receive their care. it is a hospital that has the expertise and facilities of a large pediatric center while maintaining the familiarity and personal attention of smaller hospitals.